Dr. Meyer was also a radio presenter at South Africa’s biggest Christian network, Radio Pulpit, for ten years, where he was well-known for his teaching programme, "Music & the Word," and "Running the Race," a sports programme, introducing Christian sportsmen to the public. He is married to Lorraine and he is the proud father of five daughters. Dr. Meyer used to be a sound engineer, has published a book of poetry and does oil painting and woodwork. His favourite Scripture is Galatians 2:20. When one teaches a child to read, you first show him blocks with letters on. Then you make the sound of the letter so the child can identify the one with the other. You can put the blocks together to form words linked with a picture of the object. It is a bit like "Show and Tell." God used exactly the same method in the Old Testament: He used "blocks" to show and tell His people the truths that they needed to grasp. These truths became clearer in the New Testament. The Old Testament is full of these "blocks" that form pictures or types and shadows. The substance of the truth is in the New Testament, but we find its shadow in the Old. In order to understand the New Testament truth fully, we need to study the shadow or type in detail. The Tabernacle is such a block with pictures on it: a type and shadow of the ministry of Jesus on the Cross. 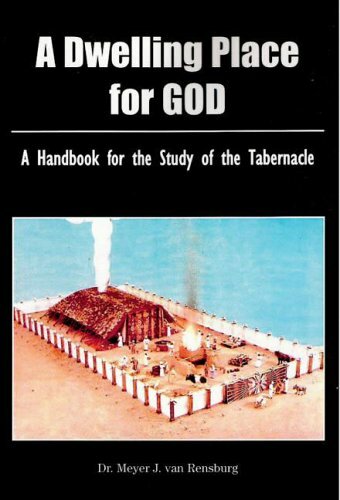 By studying the Old Testament truths about the Tabernacle, we can get a better grasp of the redeeming work of our Lord Jesus Christ. 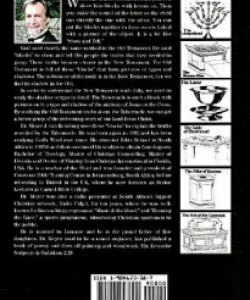 Dr. Meyer J. van Rensburg uses these "blocks" to explain the truths revealed by the Tabernacle. He was born again in 1982 and has been studying God’s Word ever since. He attended Bible School in South Africa in 1985/6 and then continued his studies to obtain four degrees: Bachelor of Theology, Master of Christian Counselling, Master of Divinity and Doctor of Ministry from Christian International in Florida, USA. He is a teacher of the Word and was founder and president of Covenant Bible Training Centre in Johannesburg, South Africa, before relocating to Bristol in the UK, where he now lectures as Senior Lecturer at Carmel Bible College.